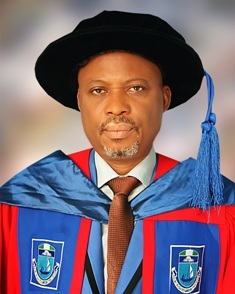 We all know that the Vice-chancellor occupies the highest position in any Nigerian Federal universities. This position is so precious to most lecturers, as the position comes not only with wealth but also power and authority. What is the worth of Vice Chancellors in Nigeria? Vice Chancellors in Nigeria are undoubtedly very well paid. They receive prodigious emoluments as well as enviable allowances every month. Before I go deep into the salary structure of Vice-Chancellor in the Nigerian universities, we should be aware of the disparity that has crept into the salary scheme of Vice-chancellors in the Nigerian universities. The National Union Commission (NUC) is certainly against the inequality of the salary scheme of Vice Chancellors in Nigeria. This disparity only portrays lack of standards and uniformity in the Nigerian universities. Also, the disparity or inequality of the salary of Vice Chancellors in Nigeria reflects corruption and is likely to probe or stir up anti-corruption bodies like to EFCC to investigate the financial activities going on in Nigerian universities. I really want to be transparent on this one; there is no revelation of the salary structure of the Vice Chancellor in Nigerian universities. But one thing is certain; Vice Chancellors are given as much as N480, 000 naira on a monthly basis by their bursars under the name of furniture allowance. This shocking information was collected by the Executive secretary of the commission, Abubakar Rasheed, during a meeting he had with bursars of Federal universities in Abuja. If bursars are giving out N480, 000 naira monthly and not yearly to their Vice Chancellor under the name of furniture allowance, then corruption in Nigeria is extreme. If N480, 000 is giving out monthly to the Vice Chancellor on basis of the purchase and maintenance of furniture, then what about transportation allowance and other vital allowances. Vice-chancellors in the Nigerian universities are extremely rich. No Response yet for "Vice-chancellor Salary Structure in Nigeria"